PARK SLOPE – Looking for some new dining options? Here’s a list of five new eateries that have recently debuted or will open soon in the area. Let us know if you try any of them. Launched in the East Village, this NYC mini-chain of burger shops recently announced that they’re working on opening their first Brooklyn location this spring. 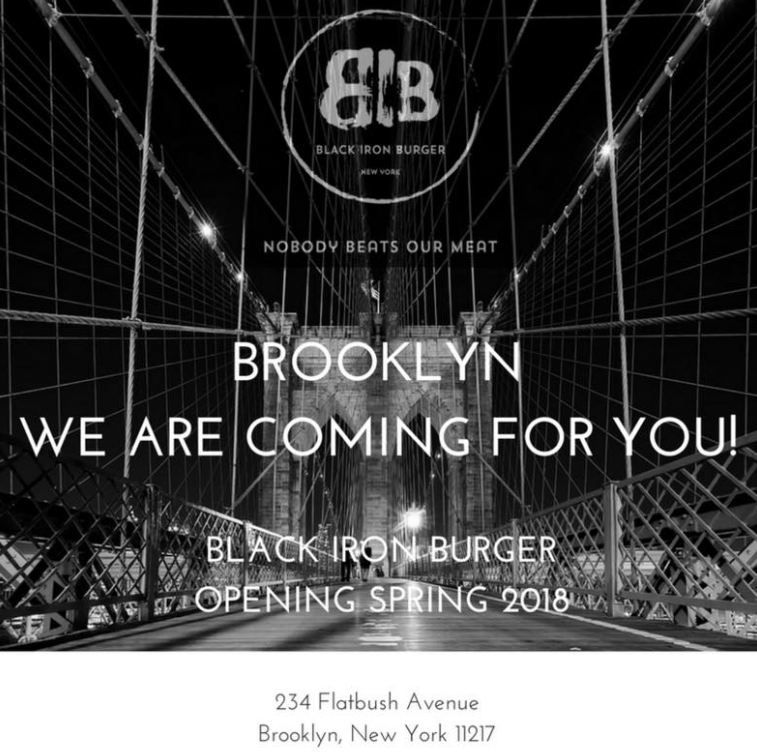 Black Iron offers award-winning speciality hamburgers made with all-natural antibiotic- and hormone-free beef, malted shakes, craft beers, fries, onion rings, yucca chips, house-made sauces, and more. 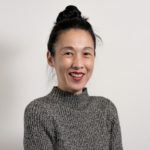 The French/Korean restaurant by Bistro Petit‘s Chef/Owner Sung Park will reopen in the Holiday Inn Brooklyn on Monday, March 19. The reinvented Brasserie Seoul will offer classic French dishes infused with Korean flavors. Highlights include a Fermented Black Bean Crusted Cod with a gochugaru(Korean red pepper flakes) carrot reduction and pink peppercorn garnish; a Kimchi Bouillabaisse made with Chef Park’s house-made Napa cabbage kimchi and tteok (rice cakes); and Half Shell Oyster with KKaennip (perilla leaves) and a pork belly confit kimchi shooter. The bright modern redesigned space features a central brass bar and an enclosed green space. An indoor cafe and juice bar where parents can go and relax with a cup of Stumptown coffee while their kids play in an enclosed area replete with a climbing wall, slide, ball pit, make-believe market, cypress wood cube pit, Lego station, and a fully matted area equipped with sensory toys and building blocks for tinier tykes. Good Day Play Cafe debuted in Park Slope on February 22 and has another location in Bayside, Queens. Along with coffee, tea, juices, smoothies and snacks (e.g., cookies), the cafe plans to expand its menu offerings soon to include sandwiches and more. 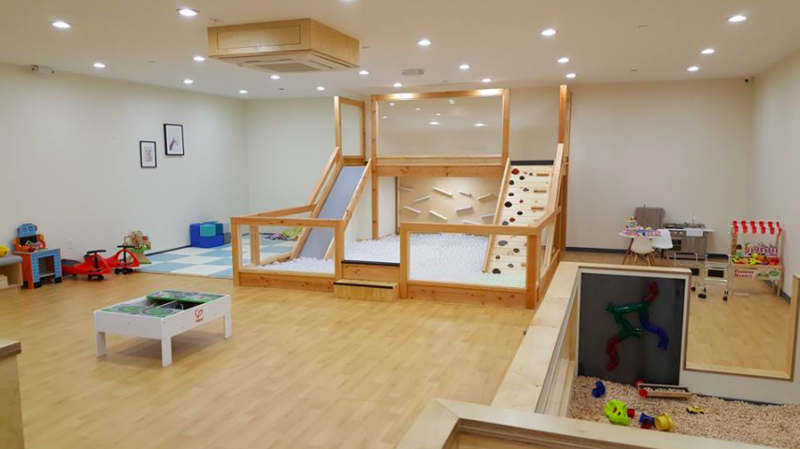 Opened Monday through Saturday, the space is recommended for children six and under. There’s an hourly rate per child starting at $12 and a $3 off discount for each additional sibling. “Don’t forget to bring socks,” their website advises. Opened March 1, this New Orleans-themed eatery is housed in a unique tiny space that’s smaller than a subway car! Inspired by the “po-boy dives of historic New Orleans,” Studio Vural transformed the ten feet wide x 40 feet deep storefront into a “classic New Orleans joint” serving up authentic creole cuisine by Chef/Owner John Verlander, a Louisiana native. 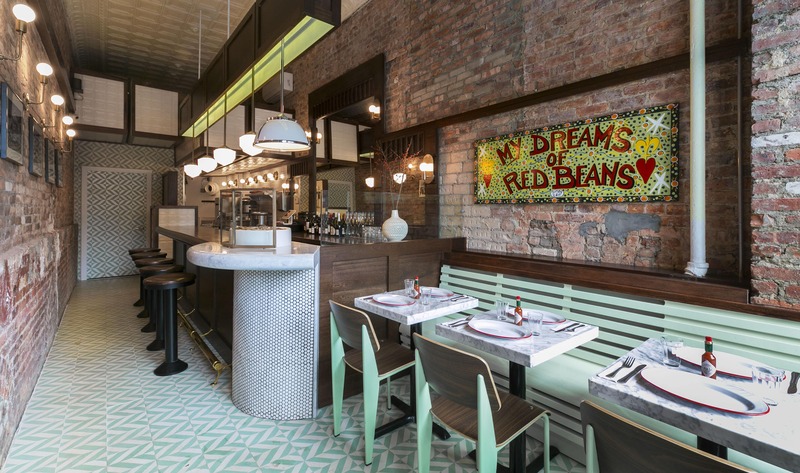 Diners can enjoy oysters, po-boys, ham bone red beans & rice, and seafood & okra gumbo in this cozy, inviting spot that features Cuban tile floors, brass fixtures, and authentic art. 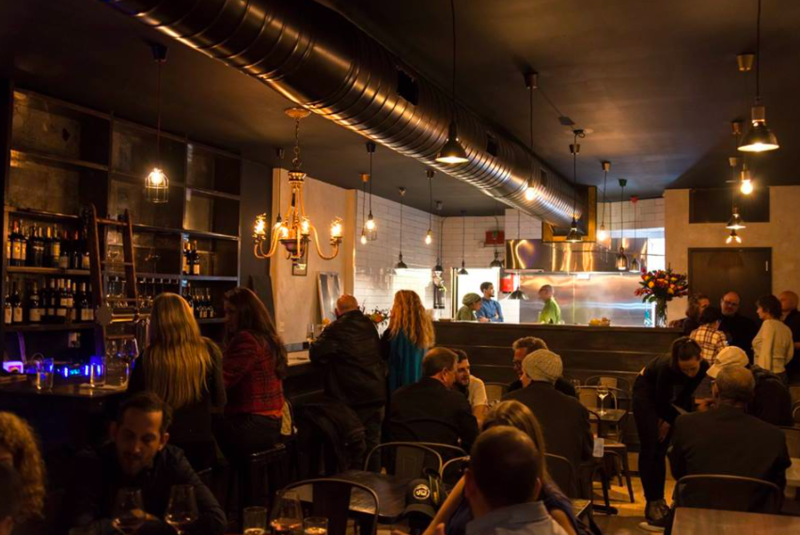 Opened in January, Tambour offers French-fusion cuisine, wine, and live music. Feast on goat cheese dumplings, charcuterie, roasted whole Cornish hen, and seafood cassoulet Normande while enjoying live jazz performances on Thursdays, Fridays, and Saturdays.